If you want to add excitement in your vacations and discover new places, at a low budget, then this full-day excursion from Side to Antalya is the perfect option. 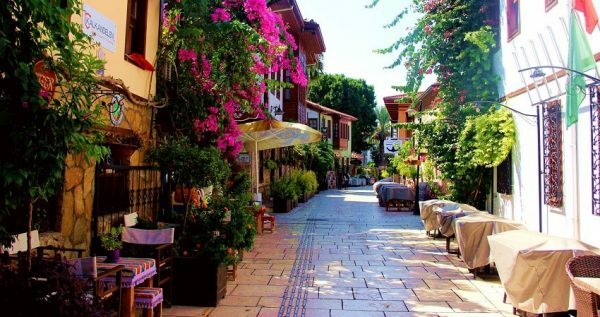 Participate in the Side Antalya Day Trip and spend your day exploring the city of Antalya and its surroundings. A variety of amazing activities like cable car ride and sightseeing awaits you. This amazing excursion begins once you are picked up from your hotel in the morning. 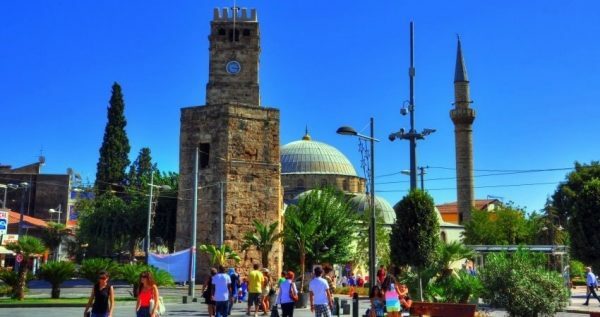 With comfortable and fully air-conditioned buses you will cover a distance of about 1 hour until you arrive at Antalya’s Old Town. There, you will have 5 hours of free time to explore the Old Town or “Kaleiçi” as it is called in Turkish. There are a lot of available options to spend your time. You can walk through the Old Town and take amazing photos, while observing the lifestyle of local people. You can also enjoy traditional delicacies in restaurants or cafeterias, or buy various souvenirs from local shops. It is worth to mention that the main tourist attractions and sightseeing spots in Antalya’s Old Town are in a close distance. 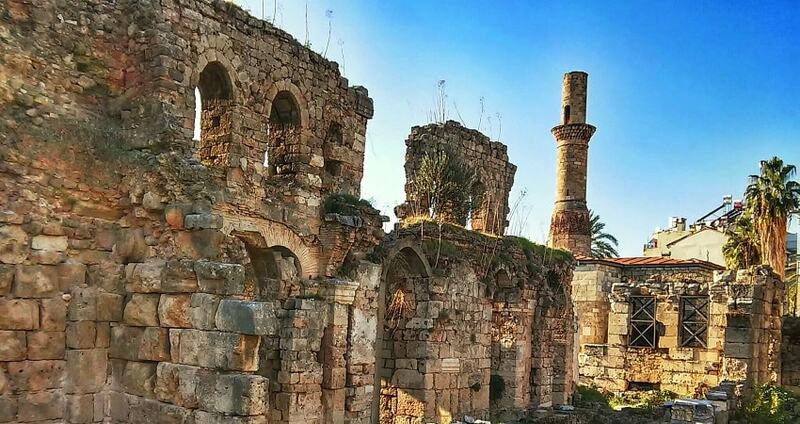 Some of the sightseeing musts are the Hadrian’s Gate, the Clock and Bramn Tower as well as the Yivliminare Mosque. Therefore, these 5 hours of free time can be an amazing opportunity to discover the charm of the city and its history. For those who seek a more adventurous experience, our guide can take you to the cable car starting point which is in a close distance. The Teleferic departs from the highest point of the city’s mountains. Before your ride, you can enjoy a cup of coffee or a traditional Turkish tea in of the nearby cafeterias. 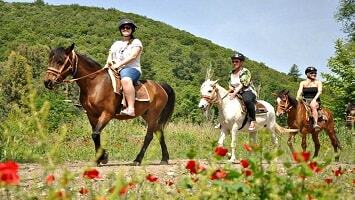 Enjoy a 2-hours ride and get to know Antalya’s countryside with this unique experience. During the ride, you will be able to see unforgettable panoramic views over the Mediterranean Sea and of the mountains. When the 5 hours of free time end, you will meet your guide at the indicated meeting point. However, your excursion is not yet over! 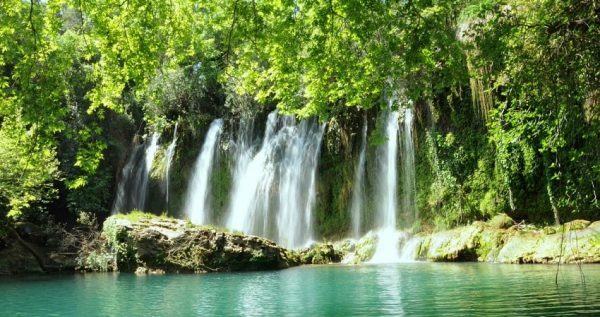 On the way from Antalya to Side you will have the opportunity to visit the picturesque Kurşunlu Waterfall, the natural wonder of Antalya. You will be spending 30 minutes in this amazing spot, which is enough time for some amazing photos of turquoise waters surrounded by the nature. Then, you will continue your trip towards Side. Side Antalya Day Trip ends by the afternoon, by the time you reach your hotel. You may like to check our Side Cabrio Safari tour. 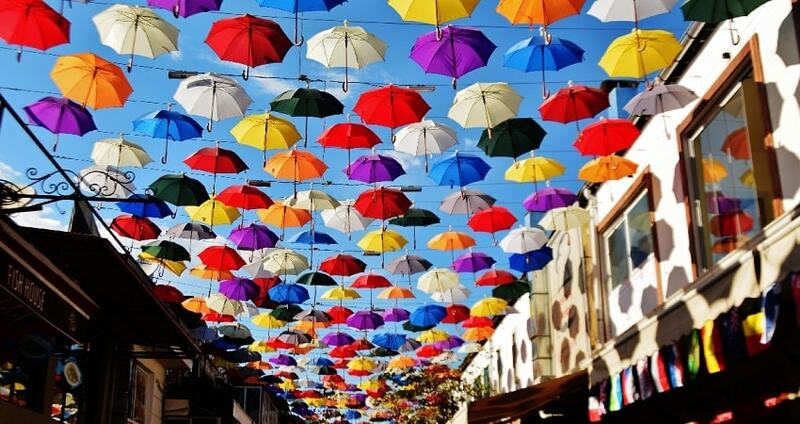 The city of Antalya offers amazing experiences to its visitors. Take a chance to visit and explore Antalya’s Old Town with this full-day Side Antalya Day Trip. Cultural and historic paths, charming architecture, natural beauties and activities are some of the things that you can do with this excursion. Side Antalya Day Trip begins in the morning. After having breakfast at your hotel, the tour guides will pick you up. 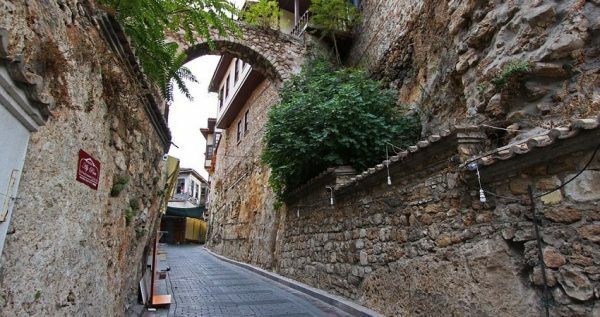 The fully air-conditioned and safe vehicles will ensure a comfortable 1-hour trip from Side to Antalya’s Old Town, also known as Kaleici. 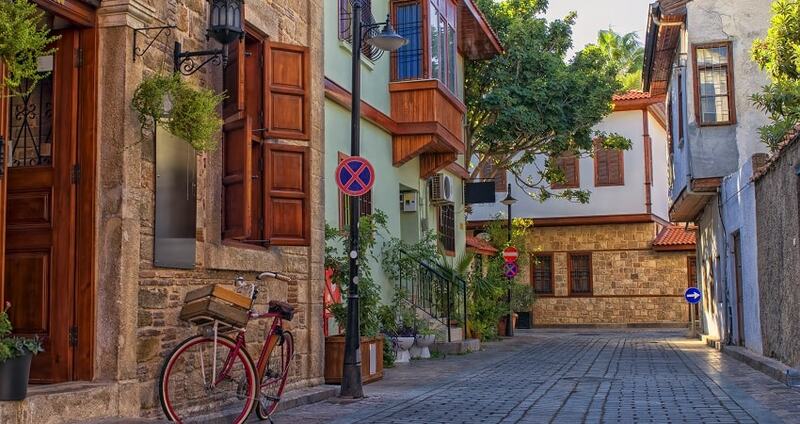 Once you reach Antalya’s Old Town, will have 5 hours of free time. Take advantage of your free time to visit some of the most important tourist attractions of the city. All important sightseeing sports are located within a walking distance therefore you don’t have to worry about transportation. 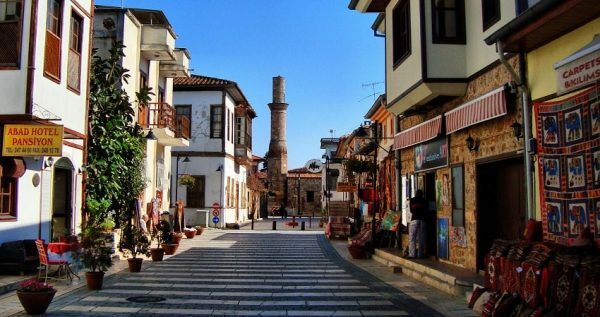 Some of the attractions include the Hadrian’s Gate, the Clock and Bramn Tower, the Yivliminare Mosque and many museums. In addition, you can walk around the Old Town and explore its hidden charm. If you want to take a break, you can simply enjoy yourself in one of the seaside cafeterias. If you are looking for something extra that will turn your day-trip into an amazing experience, our guide can take you to the cable car departing point where you can enjoy a ride at an extra cost. 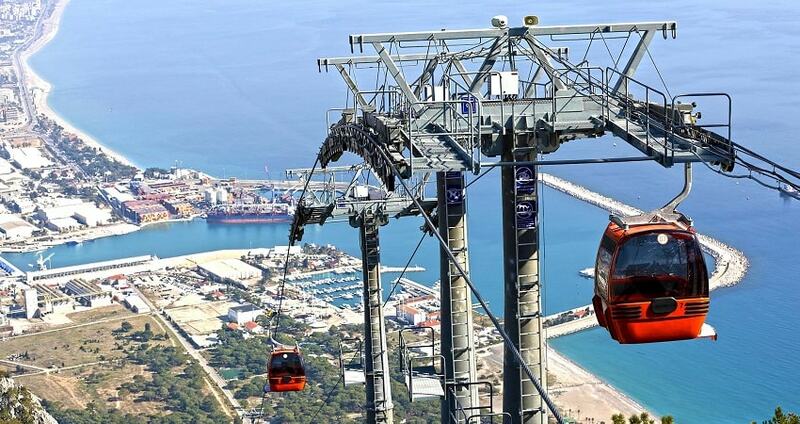 The Tünektepe Teleferic departs from the highest point of the city’s mountains at 700m high, in the Sarısu area. Before or after your ride, you can enjoy a cup of coffee or a traditional Turkish tea in of the nearby cafeterias at the top of the hill. The cable car tour lasts for two hours and is a great opportunity to snap some panoramic photos and observe the amazing colours of the shore and of the mountain. By the end of your free time, you will meet your guide at the meeting point. However, your excursion is not yet over since there is a one last spot to visit! On your way to Side you will visit Kurşunlu Waterfall for 30 minutes. 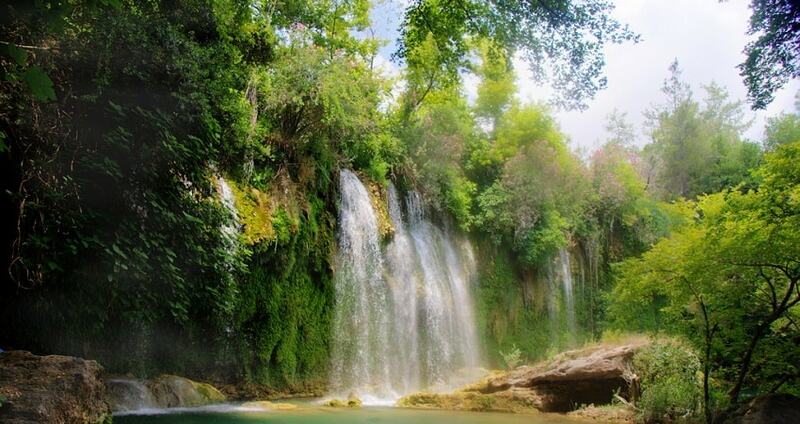 The waterfall itself is considered being the natural wonder of Antalya. This is because it combines emerald crystal clear waters that are surrounded by extraordinary wild nature. The entrance to the Waterfall is optional at a small extra cost. 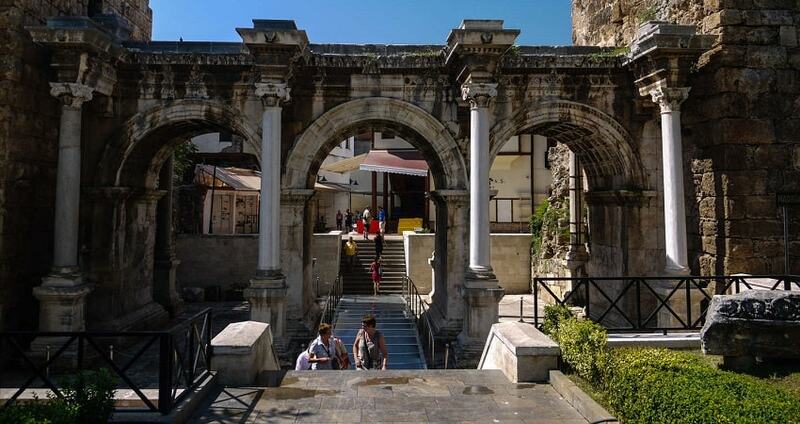 Full with emotions about your excursion and charmed by the beauty of Antalya’s Old Town, you will be dropped off at your hotel during the afternoon.